Since he was unanimously awarded the coveted distinction of first prize in Plácido Domingo’s 2008 Operalia Competition, tenor Joel Prieto has become one of the most in-demand artists of his generation, singing in some of the world’s most renowned opera houses and concert venues. The Spanish-born singer, raised in Puerto Rico, brings vocal and dramatic depth to his roles, infusing them with elegance, vitality, and beauty. Highlights of Joel Prieto’s 2018-2019 season includes his debut at the Opéra de Lausanne as Ferrando in Così fan tutte, his debut at the La Monnaie/Demunt in Brussels as Ernesto in Don Pasquale, his return to the Gran Teatre del Liceu in Barcelona with Rodelinda and to the Teatro Real in Madrid with Falstaff, his debut in Oviedo as Javier in Moreno Torroba’s Luisa Fernanda and his return to the Salzburger Festspiele as Orphée in Offenbach’s Orphee aux enfers. Joel Prieto’s 2017-2018 season started with Les Troyens at Semperoper Dresden and a Christmas Concert at Puerto Rico’s Centro de Bellas Artes with the San Juan Bautista Choir and the Puerto Rico Symphony Orchestra; he returned to the Teatro Real with the Madrid premiere of Kurt Weill’s Street Scene; sang Mozart’s Requiem at the Casals Festival in Puerto Rico; went back to the Teatro Municipal in Santiago de Chile, this time as Don Ottavio in Mozart’s Don Giovanni and returned to the Teatro Real in Madrid for more performances of Street Scene. Highlights of Joel Prieto’s 2016-17 season included performances as Benedict in a new production of Berlioz’ Béatrice et Bénédict at the Théâtre du Capitole and appearing as Prince Tamino in Mozart’s Die Zauberflöte at the Teatr Wielki in Warsaw, at the Bolshoi Theatre in Moscow and at the Tianqiao Performing Arts Center in Beijing, in Barrie Kosky and Suzanne Andrade’s innovative production for the Berlin Komische Oper, which is inspired by the silent movie genre. He was featured on the concert stage as the tenor soloist in Beethoven’s Symphony No. 9 with the NHK Symphony Orchestra in Tokyo; he sung Belmonte in Mozart’s Die Entführung aus dem Serail at Los Angeles Opera, followed by performances of the same role in a new production of the same opera at the historic Semperoper Dresden. His 2015-2016 season opened with a concert tour through Scandinavia and Russia with pianist Semjon Skigin, as part of the Ocean Sun Festival. He sang Narraboth in a concert version of Strauss’ Salome at the Auditorium Orchestre National de Lyon, conducted by Leonard Slatkin. Prieto also made his role debut as the Steuermann in Wagner’s Der Fliegende Holländer at the Staatsoper Berlin. He returned to his home city in his debut at Teatro Real in Madrid as Tamino in Die Zauberflöte led by Maestro Ivor Bolton, in a performance that was heralded by the “distinction, personality, and beautiful timbre” of his portrayal (EL PAÍS). Joel debuted in the role of Ferrando in Mozart’s Così fan tutte starting at the Festival Aix-en-Provence in a new production by Christophe Honoré (which will later be released on DVD), followed by performances at the Edinburgh Festival and at Alice Tully Hall in New York’s Lincoln Center. The 2014-2015 season included greatly anticipated performances in Donizetti’s Don Pasquale for Ópera de Puerto Rico. Mr. Prieto then traveled to Moscow for a warmly received recital debut in Russia at the Dom Muzyki Chamber Hall, alongside pianist Semjon Skigin. He also sang the role of Tamino in a new production of Die Zauberflöte in his return to Teatro Municipal in Santiago, Chile. In the same season, Prieto enjoyed an exciting role debut as Fernando in the Zarzuela Doña Francisquita for the Théâtre du Capitole. He also sang his first Mozart Requiem with the Houston Symphony Orchestra, led by rising star conductor Andres Orozco Estrada. At the Gran Teatre del Liceu in Barcelona Joel Prieto was praised by the audience and critics alike for his portrayal of Ferrando, a role he reprised for his debut at the Spoleto Festival in Italy. Joel also made a critically acclaimed Santa Fe Opera debut with his “dashing” (Wall Street Journal) performance in the role of Il Contino Belfiore, in a new production of Mozart’s La finta giardiniera, conducted by Maestro Harry Bicket and directed by Tim Albery. 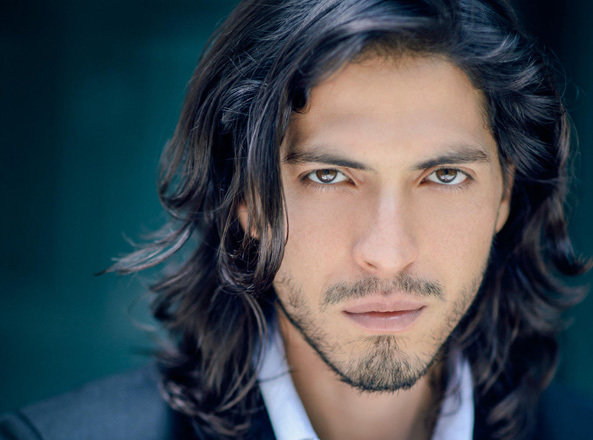 Joel Prieto made his debut as Nemorino in L’elisir d’amore at Opera de Puerto Rico in the 2013/14 season. He then sang the role of Fenton in Christof Loy’s new production of Verdi’s Falstaff at the Deutsche Oper Berlin, as well as Tamino in Die Zauberflöte at the Staatsoper Berlin along with soprano Anna Prohaska and bass René Pape. He experienced tremendous success in his debut as Narraboth in Strauss’ Salome led by Maestro Zubin Mehta and directed by Harry Kupfer at the Staatsoper Berlin. Additional engagements that season included the role of Don Ottavio in Mozart’s Don Giovanni and Iopas in Berlioz’ Les Troyens at the Deutsche Oper Berlin. Mr. Prieto also joined the Orfeon San Juan Bautista of Puerto Rico Choir in a concert for ProArte Musical. He was praised by the critics in his debut at the Glyndebourne Festival singing Il Contino Belfiore in a thrilling new exciting production of La finta giardiniera, led by Robin Ticcati and directed by Frederic Wake-Walker. In December 2013, he also had tremendous success in Vienna as the Tenor Soloist for the famous televised concert Christmas in Vienna, along with colleagues Luca Pisaroni, Ursula Langmayr, Angelika Kirchschlager, the Vienna Boys Choir, and the Vienna Radio Symphony Orchestra. Joel Prieto also received the prize of “ Voices of the Year” as the best male singer in 2013, given by the Association of Lyric Singers of Spain. In 2012-2013, Joel Prieto debuted to enthusiastic acclaim as Il Contino Belfiore in Hans Neuenfels new production of La finta Giardiniera at the Staatsoper Berlin, where he has established an important collaboration with the house. Additionally Mr. Prieto had two other major debuts, as Don Ottavio in Don Giovanni at the Houston Grand Opera and as Ernesto in Don Pasquale at Teatro dell’Opera di Roma. Joel also achieved great success in his debut at London’s Royal Opera House in May 2012, as Fenton in a new staging of Falstaff, which received a live cinema on big screens around the UK. The production was directed by Robert Carsen and conducted by Maestro Daniele Gatti. He also performed as Fenton at the Gran Teatre del Liceu in Barcelona, and the Théâtre du Capitole in Toulouse. In 2012, he was invited to perform at the Closing Gala of the Bad Kissingen Music Festival, and had dazzling success in his Wigmore Hall recital debut in London, accompanied by the pianist Ian Burnside. He also embodied the tenor part in Haydn’s Creation at the Teatro de la Maestranza in Seville, and gave his first recital in London with the Rosenblatt Recital Series in 2010. He sang Arturo in a concert version of Donizetti’s Lucia di Lammermoor with Edita Gruberova at the Sächsische Semperoper in Dresden, and also the role of Tybalt in a concert version of Roméo et Juliette at the Concertgebouw in Amsterdam. Joel was featured as the Evangelist in Herzogenberg’s Die Geburt Christi at the historic Monastery of Wolhusen in Switzerland. On the concert stage, Joel was the featured tenor soloist in Mozart’s C Minor Mass for the opening of the Salzburg Festival in 2010 and took part in a Benefit Concert for Pakistan alongside Anna Netrebko, Erwin Schrott, Anna Prohaska, and Piotr Becza?a that same summer. At the Mozarteum in Salzburg, he sang the tenor solo in Haydn’s Stabat Mater under the baton of Ivor Bolton, and performed with soprano Barbara Frittoli in an Opera Gala Concert in Bergen, Norway. Joel Prieto made his debut at the Staatsoper Berlin in 2011 as Tamino in Die Zauberflöte, and had a tremendously successful house debut as Don Ottavio in a new production of Don Giovanni at the Salzburg Festival (2010). The staging was directed by Claus Guth, and with Yannick Nézet-Séguin, a role he was invited to sing again in 2011. In 2009, he debuted in the role of Ferrando in Così fan tutte at the Palau de les Arts in Valencia, alongside soprano Barbara Frittoli. That same year, he sang the role at the Washington National Opera, the Theatre du Luxembourg, Palm Beach Opera, and the Bayerische Staatsoper in Munich. He also sang Arlecchino in Leoncavallo’s Pagliacci at the Teatro Municipal de Santiago. In 2008, a fortuitous series of events marked the beginning of his international career. He joined Maestro Plácido Domingo in the Zarzuela Luisa Fernanda at the Theater an der Wien with soprano Patricia Petibon. That summer, he also took part in the first Young Singers Project at the Salzburg Festival, sponsored by Montblanc. Joel Prieto’s major breakthrough came later in 2008 when he won three prizes at Plácido Domingo’s Operalia Competition: First Prize, the Zarzuela Prize, and the Culturarte Prize. Since then he has made remarkable house and role debuts around the world. Joel Prieto’s professional opera debut came in 2006, when he played Tamino in Die Zauberflöte at the Deutsche Oper Berlin. He then became a permanent member of the German operatic house from 2006-2008, singing roles like Tybalt in Roméo et Juliette and Arturo in Lucia di Lammermoor. Mr. Prieto has collaborated with a host of prominent conductors, including Robin Ticcati, Daniele Gatti, Roberto Abbado, Ivor Bolton, Joan Pons, Fabio Luisi, Ottavio Dantone, Yannick Nézet-Séguin, Daniele Callegari, Zubin Mehta, Bruno Campanella, James Conlon, and Harry Bicket. He has also worked with venerated stage directors such as David McVicar, Robert Carsen, Claus Guth, Christof Loy, Francisco Negrin, Giorgio Ferrara, Tim Albery, Stephen Lawless, Daniel Satler, Emilio Sagi, Damiano Michieletto and Hans Neuenfels. After completing his studies at the Manhattan School of Music in New York City, he became a Regional Winner of the Metropolitan Opera National Council Auditions in 2004. Soon after, he was selected for the Opera Studio of the Opera National de Paris “Atelier Lyrique” during the 2005-2006 season, when he sang in the world premiere of Les aveugles composed by Dayer, and also performed in Paris and at the Almeida Theatre in London. As a member of the Atelier Lyrique he also sang the role of Lorenz in Lehar’s Frühling at the Opera Comique in Paris. Coming from a family of artists, Joel Prieto showed interest in music at an early age. His parents are writers; one of his sisters is a painter, and the other is a photographer. When he was five years old, he began to learn the violin. One year later he joined the San Juan Children’s Choir, a musical institution of exceptional renown in Puerto Rico. The organization was founded by cellist and conductor Pablo Casals and Evy Lucio, who had trained with the Vienna Boys’ Choir for many years. It was in this choir that he was exposed to different styles of music, from the earliest Gregorian chants to modern music. He travelled worldwide as a member of the choir and during this time, he took part in the children’s scene of the second act of the opera Puccini’s La bohème with the celebrated soprano Mirella Freni and conductor Roberto Abbado. So great was the impact of this experience, that Joel knew from then on he wanted to be an opera singer and has continued on that path. Tenor Joel Prieto was born in Madrid, in 1981. His mother is Puerto Rican and his father is Spanish. At the age of four they moved to Puerto Rico, and at present he resides in France.